From April 1 to 4, widepartner is at the Sage Enterprise Partner Summit, the largest Sage partner meeting in Dubai, United Arab Emirates. 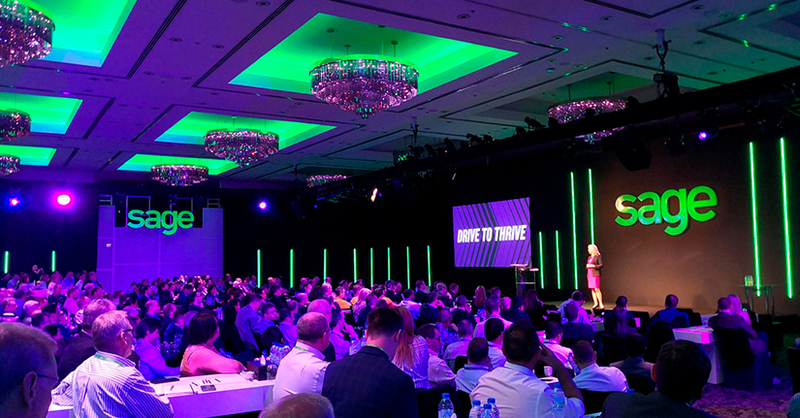 An event that shows the Sage ecosystem in a learning environment, sharing sales techniques, industry insights, and networking among partners around the world. The event includes participation and interaction with renowned experts in Sales, Marketing and Customer Service, which showcases the engaging themes of the Sage world and the current market, with presentations on best practices for the realization of a business, the approaching strategies to maximize digital media, new product upgrades such as Sage Enterprise Management V12, insights on challenges and opportunities for the business, and sharing of leadership experiences in the technology industry. In addition to the professional context surrounding the Sage Enterprise Partner Summit, has also been highlighted the Sage Corporate Social responsibility, partners and clients involved in the celebration of the 1 million dollars fundraising for the Sage Foundation, which supports many institutions of solidarity.